Charming cottage by the sea in Cabo de Gata. Garden, palm trees, porch ..
Property 3: Charming cottage by the sea in Cabo de Gata. Garden, palm trees, porch ..
Property 23: An oasis of tranquility in the heart of the park. 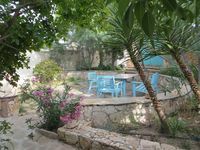 Modern renovated old house, private pool, close to beaches. 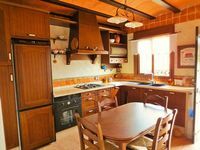 Property 24: Modern renovated old house, private pool, close to beaches. Agate Bungalow 1. Camping Cabo de Gata. Property 32: Agate Bungalow 1. Camping Cabo de Gata. Sehr nette Vermieterin. Wir wollten bewu&szlig;t kein Hotel und waren sehr zufrieden. Gerne kommen wir mal wieder, aber sicher nicht im tropisch hei&szlig;en August ;O) !!! Tolle Wohnung, tolle Gegend, beides nix f&uuml;r Pauschalurlauber :O).